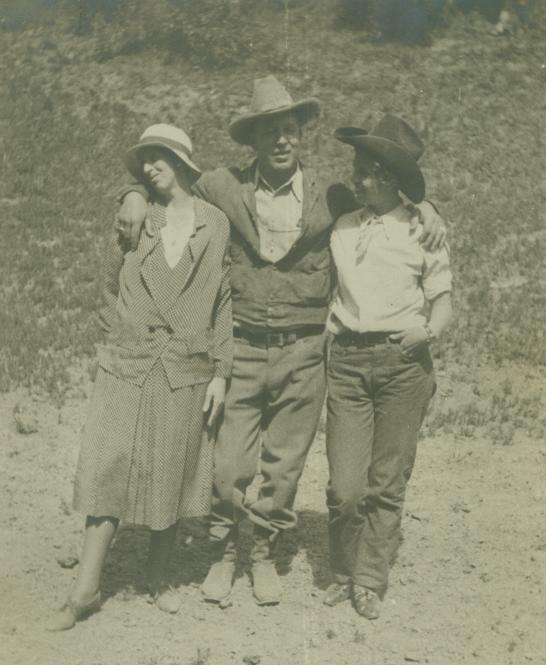 The story of the Rowell Ranch and how Harry & Bertha Rowell started a legacy rich in the western culture of Cowboys, Cowgirls and Rodeos is almost right out of a modern movie or novel. Harry Rowell was a renegade, someone who literally threw the dice and lady luck somehow was almost always on his side. He lived a life that most people only dream about so read on and enjoy the history of Harry & Bertha Rowell. As a youth, Harry Rowell provided a clue as to the man he would become one day. At age 13 Harry dove into icy waters and save another youth from drowning. He was awarded the Royal Humane Society of England for "outstanding heroism". He bravely joined the British Navy at the very young age of 15 as an able-bodied seaman aboard the three-masted barkentine HMS Egeria. A few years later at age 17, as part of a shore party from the HMS Euryalas, he aided in the rescue of earthquake victims in Messina and for his efforts was decorated for bravery by King Victor Emmanuel of Italy. After Harry jumped HMS British Royal Navy Ship in Canada at age 21, he made his way to the Bay Area and took odd jobs such as milking cows, driving a tallow wagon and eventually, like many European immigrants, earned extra money boxing. As a side note, years after he jumped shipped, he was "forgiven" by her Majesty the Queen Mum and welcomed with open arms back to England. His many accomplishments in America made their way back to his homeland and he was considered a hero in England. At 6'3" and 230 pounds, Harry was a formidable boxer. Harry followed the path of the American dream and started his own business raising chickens and selling eggs. This business came to end, however, when a truck collided with his Model T, and scattered his eggs all over the street. Harry then got the idea that he could make more money feeding chickens than raising them, and he went into the business of hauling dead farm animals. He started the Acme Poultry Company and the first location was on Mattox Road in Hayward - it would eventually become the AC Flea Market and now today is part of the 580 interchange in Castro Valley/Hayward. He would use the bones of the dead farm animals and it was said that "When you feed your hens J.H. Rowell's fresh ground bone, many people have noted that egg laying increases". During this time, Harry starting to date and eventually married Bertha Condon of Castro Valley. 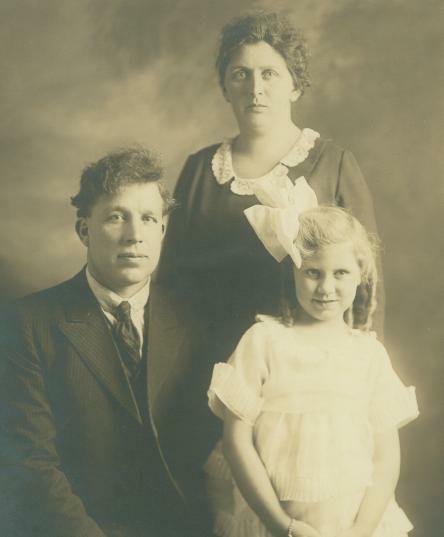 Bertha was a well-educated woman and became the stronghold of Rowell's business. She was smart and hardworking. Bertha not only managed the financial end of the business, but she actually did manual labor when she was needed. She was by today standards, a woman before her time, as she performed man's work in order to help Harry keep the Acme Poultry Products Company going. Harry and Bertha were a formidable team and during this time they purchased 12 sections of land in what is now the Del Valle/Sunol Hills area. Calling it "Camp Bertha" in honor of his wife, this land was in three counties - Alameda, San Joaquin and Santa Clara. This would eventually become Harry's beloved Camp Bertha where he would pass on in 1969. Bertha Rowell became known as "The Angel of Castro Valley" because of her generosity. She helped many, many hungry and needy people in the surrounding areas. She was Harry's right-hand lady and kept the financial end of the business running smoothly. She also pitched in and skinned horses and did everything as well as any of the ranch hands. The ranch hands had the greatest respect for her and always called her "Miz Rowell". 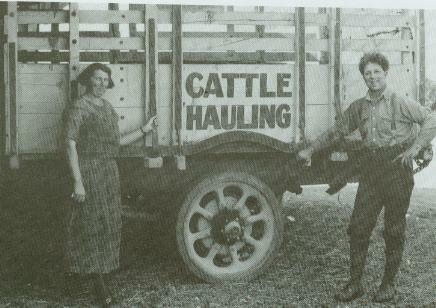 Harry and Bertha helped a lot of people buy ranches and get started. They would loan people money and never foreclosed or demanded the money back. Harry would never sign a contract, he believed his word was a good as gold and his handshake was the contract. Harry and Bertha both worked hard to start their business and make it successful. The fruits of their labor is a vital part of the history of the Bay Area and a monument to the American tradition of hard work. Bertha Rowell died in 1938 from cancer. She had worked many long and hard hours with her husband Harry building the Rowell Ranch, the meatpacking houses, the Saddlery and the rodeo stock contracting business. Many of Harry and Bertha's friends said that Harry would have never attained the level of success he had accomplished without her. She was a woman before her time and the Rowell Ranch was a success because of her.